COZI TV will launch new shows to start 2015. 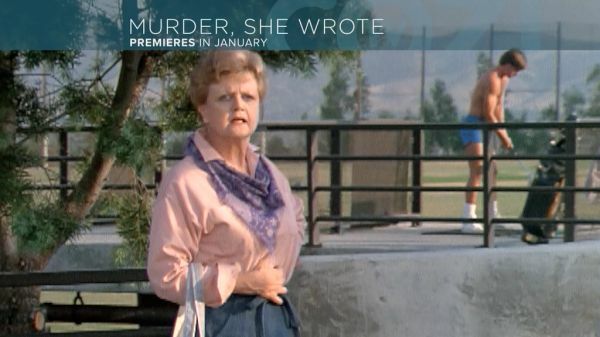 Murder, She Wrote, one of the most successful television series in TV history, starring the beloved Angela Lansbury as mystery writer and amateur detective Jessica Fletcher, makes its triumphant debut on COZI TV on January 2, 2015. The iconic series set a precedent for TV sleuth shows. The series aired for 12 seasons from 1984 to 1996 with 264 episodes. It was followed by four TV films and a spin-off series It is one of the longest-running television shows in history, with close to 23 million viewers in its prime, and was a staple of the evening lineup for a decade. The series was also successful around the world. Starting January 2, Murder, She Wrote will air on COZI TV weekdays back-to-back from 3-5pm ET, Friday nights from 8-11pm and Sundays from 7-9 pm. But wait, there's more! COZI TV viewers are in for a real treat in the new year, as more iconic television series than ever will make their debut on the network. Starting January 5, 2015 viewers can tune into Adam-12 weekdays from 12-1pm with two back-to-back episodes. Dragnet will air in late fringe every weekday 11pm–12am with two back-to-back episodes. The Adventures of Zorro will air weekdays from 11am–12pm, also with two back-to-back episodes. Western The Life and Legend of Wyatt Earp will air from 9-10am with two back-to-back episodes. Another western, Bronco, will air weekdays at 8am, while the drama It Takes a Thief will air Mondays at 10pm. What will this mean for some of the existing shows airing in these time periods? We will let you know soon. USA Network announced the renewal of the critically-acclaimed comedy, Playing House, from Universal Cable Productions, through a new windowing structure, which will allow viewers each week to watch the following week's episode on Video-On-Demand before it airs on USA. The network will prominently promote the on-demand episodes, driving viewers to watch in the early window. This new approach is designed to offer select advertisers premium placement across millions of multiplatform connected homes, and engage the highly passionate community of Playing House fans across VOD and TV Everywhere platforms. The series, which is executive produced by, written by and stars Jessica St. Clair and Lennon Parham, will return in the second half of 2015 for eight episodes. 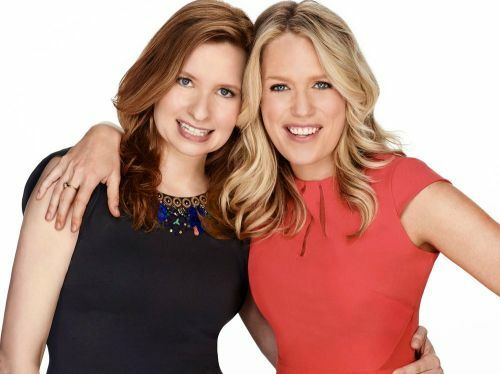 Playing House centers on childhood best friends Maggie Caruso (Lennon Parham, Parks and Recreation) and Emma Crawford (Jessica St. Clair, Bridesmaids), who together have shared countless adventures growing up in the charming town of Pinebrook, Conn. In the first season, Maggie discovered that her husband Bruce (Brad Morris) was having an online affair, so Emma gave up her burgeoning business career in China to stay in their hometown and help Maggie raise her baby. As they prepared for the birth of Maggie's first child and the fallout of her marriage ending, Emma was also forced to confront the past that she abruptly left behind thirteen years ago: her first love and local cop, Mark (Keegan-Michael Key), her prim-and-proper mother (Jane Kaczmarek) and a small town in which she's never felt comfortable. Together, they navigated the adventures of raising a baby in the best way they know how - together.